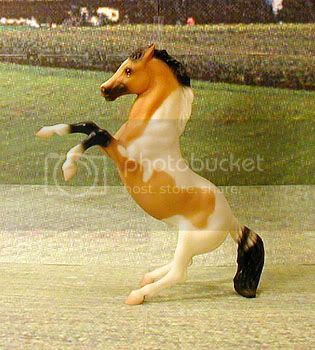 Model information: Breyer Classic scale Rearing Stallion mold; #750013 "Flicka and Yankee" set, special run for Wal-Mart stores in 1996. This fellow is straight off Assateague Island and has no known lines to the Misty family. Model information: Breyer Classic scale Rearing Stallion mold; #700293 "Little Chaparral", 1993 Breyer Show special run. Lines to Misty family and island stock. 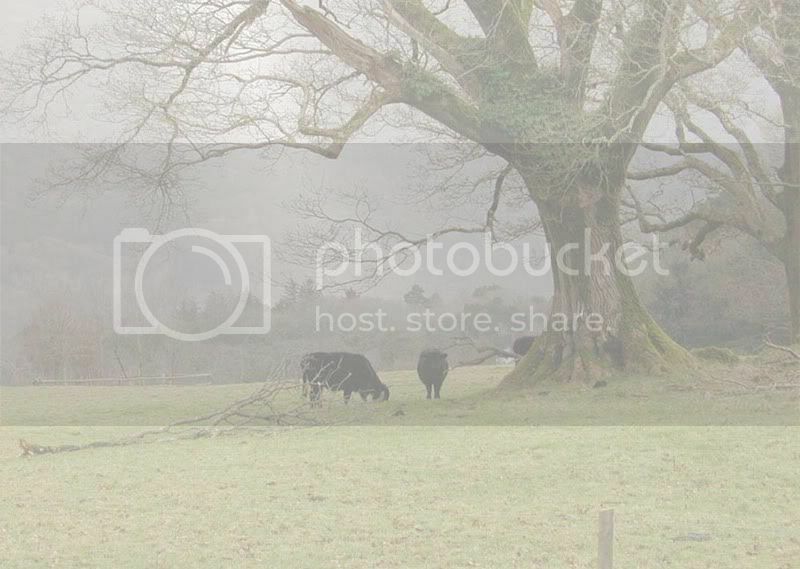 Grandsire and granddam on dam's side are photo show placed/winner. 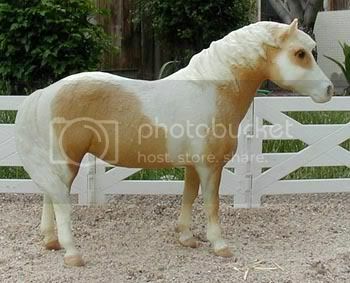 Model information: Breyer "Misty" mold; #20 "Misty", one of Breyer's longest-running models, issued in 1972 and not discontinued until 2006. There were several variations over time, this model is from the last few years of production. 1993 gray (smoky black) minimal sabino. This mare carries red as well as the cream dilute and is not homozygous for gray, so there are a lot of color possibilities for her offspring! Lines to the Misty of Chincoteague, made famous by Marguerite Henry. This mare also traces closely to island stock. Sire and dam are photo show placed/winner. 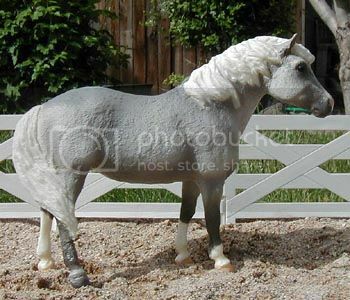 Model information: Breyer "Misty" mold; "Jingles" 2001 Holiday Pony with Sleigh, 2001 Christmas special run.